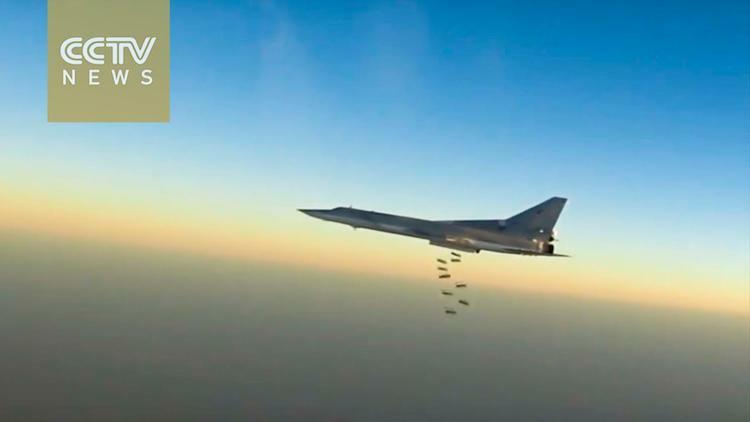 Russian bombers for the first time have taken off from bases in Iran to carry out air strikes on rebel targets in Syria. The US military is complaining that under a Russian agreement with the US, it was supposed to get a timely notification of Russia air strikes so they could avoid any conflicts. The Russians appear to have given the Americans last-minute notice– enough so that the US could make the necessary arrangements, but only barely so. Likely Russia did not want to give the US time to complain about the basing in Iran or to try to pressure Moscow back out of this plan. According to Russian sources, this procedure is a matter of saving money on logistics. But the move will inevitably be seen in the light of grand strategy. A tightening of Russian-Iranian security cooperation will be seen by Saudi Arabia and Israel as a threat, and since those two countries have the most powerful lobbies in Washington, it will view the development as threatening, as well. TeleSur reports that the “long-range Russian Tupolev-22M3 bombers and Sukhoi-34 fighter bombers” took off from Iran’s Hamadan air base. These are the first strikes by Russia on Syrian targets from the territory of another country. It is also unprecedented since 1979 for the Islamic Republic of Iran to allow a foreign power to use its facilities for military purposes. The United States had bases in Iran in the 1960s and 1970s and US soldiers were guaranteed immunity from prosecution in Iranian courts. After 1979 when Iran and the US cut off relations, the slogan of Iran was “Neither East nor West, an Islamic Republic.” This slogan referred to the Cold War exigency of allying with the US or the USSR, and Khomeini’s refusal to play that game. Asked about the Russian basing, Ali Shamkhani, the head of Iran’s National Security Council, said that it was a matter of strategic cooperation against terrorism– given the importance of defeating ISIL. Shamkhani appears to have been a little embarrassed about the de facto return of Iran to being a military asset of a great power. He went on to underline that in all its struggles in the region against terrorism, in Yemen, Iraq, Syria and Lebanon, Tehran was depending primarily on local people power. What Russia and Iran aren’t talking about is that apparently they have given up on the February cease-fire in favor of an aggressive campaign to conquer rebel-held East Aleppo as a way of ending the Syrian civil war. The Russian air strikes from Iran are in service to that goal. Since it is likely that there will be a Clinton administration in January, this Russian-Iran cooperation on Syria will pose a problem for a president Hillary Clinton. She is on record as wanting to overthrow Bashar al-Assad in Syria, to impose a no-fly zone over that country, and to support the remnants of the Free Syrian Army– exactly the opposite of the policies of Moscow and Tehran. You could imagine a clash.